Receive Credit Card payments in Israel using Pelepay.co.il, the biggest payments & gateway solution in Israel. 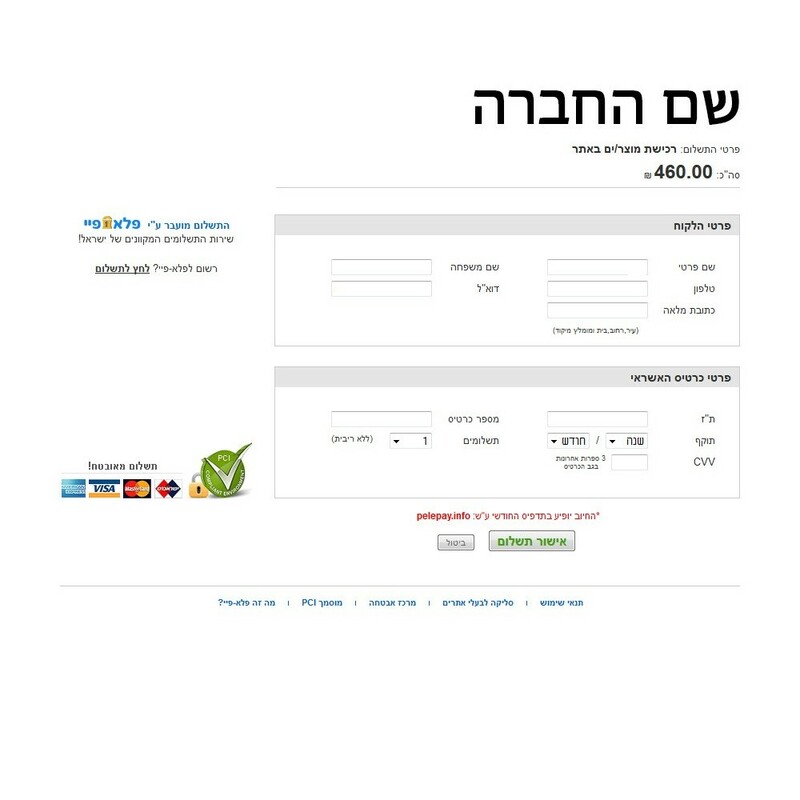 Use Pelepay PCI-DSS compliant service to accept major israeli credit cards in your website. 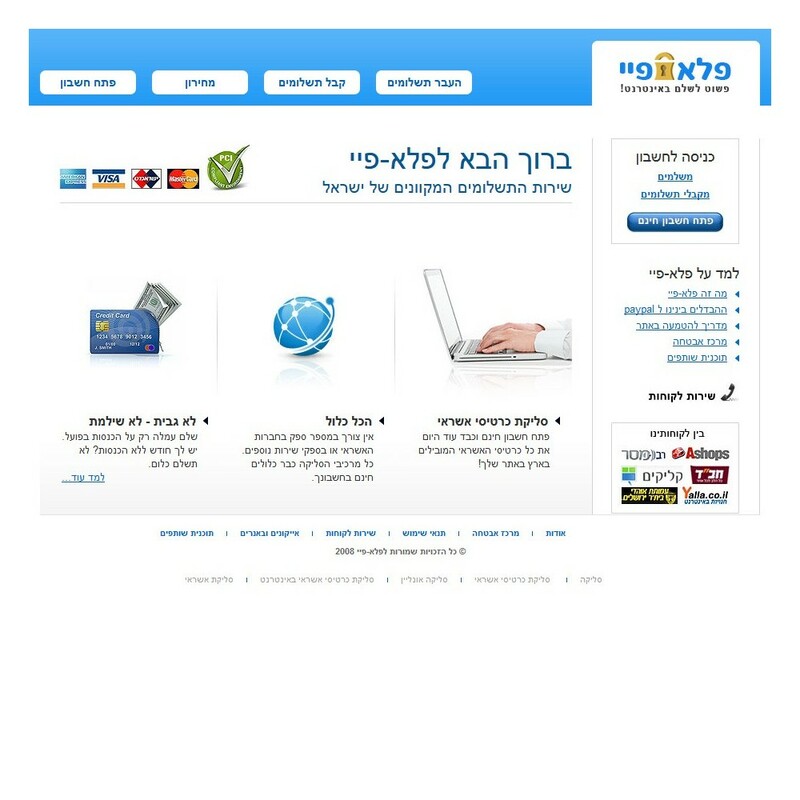 Increase your sales by accepting Israeli local credit cards online. Use PCI secure and safe system to accept credit card payments. Limit the maximum number of payments that a customer can make to pay for an order. 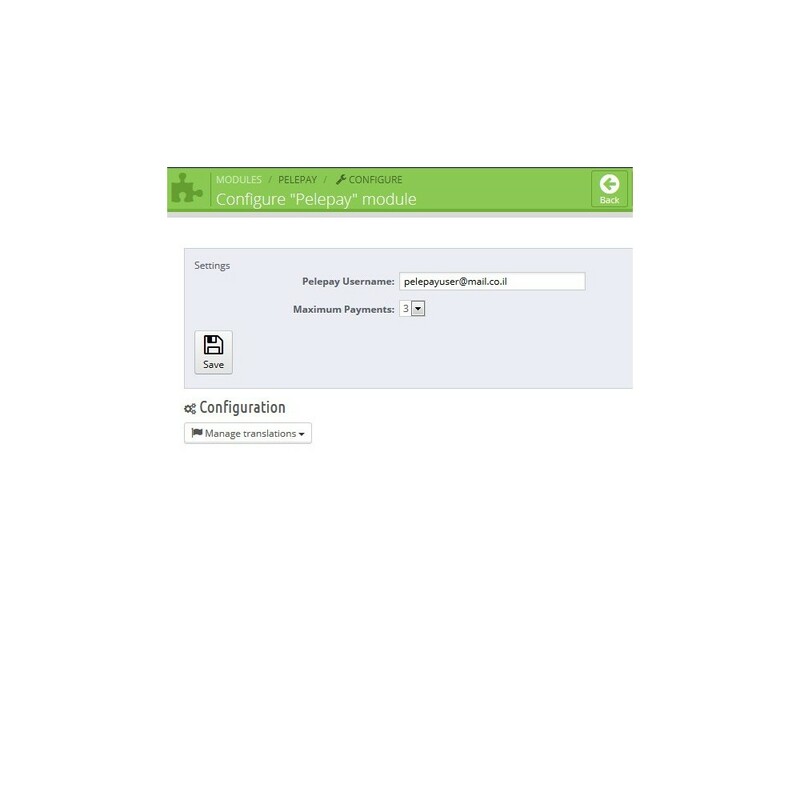 Automatically sends user information to pelepay.co.il . Receive automatic payments in your website. Your customers will be able to pay automatically using the pelepay payment systems. To obtain an username, you need to register in http://www.pelepay.co.il/.